Raila Odinga, now the People’s President was sworn in on Tuesday in the absence of his wife, Ida Odinga and his co-principals; Musalia Mudavadi, Kalonzo Musyoka and Moses Wetangula. Ms Odinga was supposed to be beside her husband, Raila as is the norm during inauguration ceremonies. But the former teacher told the Standard that she was held up by a family emergency involving one of her daughter’s. She insisted that she was with the NASA supporters in spirit adding that they had her moral support. He absence, she added, should not be misconstrued. She also pointed out that neither Pauline Musyoka nor Tessie Mudavadi, were present. “I think the whole exercise was done in an expeditious manner, with tension here and there. 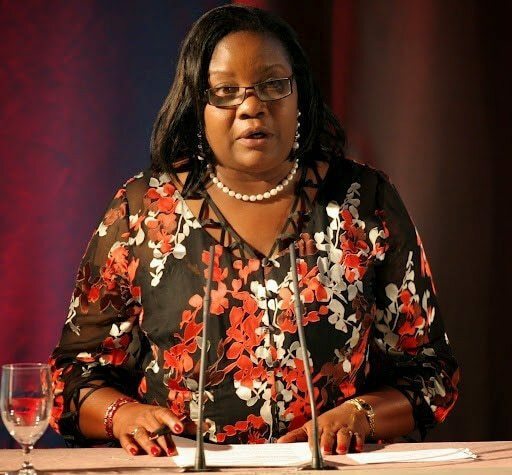 They had my moral support,” Ms Odinga said. She also noted that the government had mishandled opposition leaders on Tuesday. It is said that the state withdrew the principals’ security teams in order to intimidate them. Kalonzo, for example could not make it to Uhuru Park without his security. Ms Odinga did however ask Kenyans to pray for her ailing daughter, Rosemary Odinga who she noted was responding well to medication.